Discussion in 'Buy Sell Auction - Archives' started by chicken stalker, Jan 3, 2011. 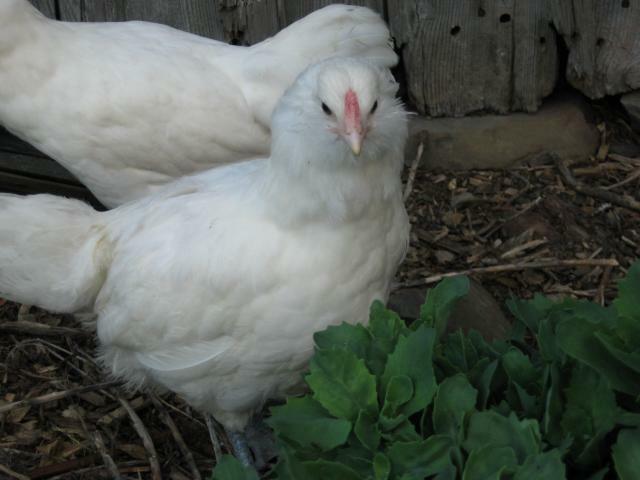 The white ameraucana's were hatched from Jean Ribbeck (Pips&Peeps) and have nice slate legs and beautiful white plumage with no yellowing. They are in a breeding pen (with their own outdoor run) which my rooster pays visit to once a week. The chicks from these nice dark french black copper marans eggs will produce nice deep color olive eggs. I have my wheaten ameraucana and white ameraucana rooster over my FBCM hens. Both breeds are dual purpose and my hens and roosters have nice broad chests. Believe me they look like tanks with legs. I just test hatched these (Jan 1st) and 5/6 hatched. I have been eying these eggs for my next hatch. Please save me from my addiction! Eggs were collected from last Saturday- today and will be shipped Wednesday. Eggs will be carefully packaged, and sent priority mail (a flat rate box) with a tracking number. These are the actual eggs I will be sending. Probably 12 eggs will be sent....depending on the hens. New Years Test Chicks-(poor lighting)-leg color will develop over time. I selected the whites with the darkest slate legs for my breeding stock. Quote:you did not??? man a DH that actually listens to his wife and buy you incubators? can u say Upgrade?? yowser-good for you! My brinsea 40dx came in today sucker is huge! My DH just looked at it in aww and said I dont think that is going to fit all the eggs you want to hatch do you? I said it fits 48 Im good with that in the middle of Winter!!! I bet you can get 5-6 dozen in it. I can get 3 dozen in my eco that only holds 24......I am a stacking pro! Quote:it tilts really far over! I have it plugged in to watch how it works-took less than 1/2 hr to reach temp!!! dead on-Im loving it already-Id kinda be afraid to stack it really does look like the "top" eggs would seriously roll out of their spot?? Mine tips the same degree as yours...I can walk you through it when you are ready. Just PM me. I think I posted some pics some where on a Brinsea thread. And I will post more when I load it again, hopefully Wednesday. I just can't hit the buy it button on the Brinsea site. I know the 40 is a nice size, but I REALLY want to shoot for the 190 or 320. And a 1/2 hour to reach temp...you can't beat that unless you have several broodies to work with! I'm totalling the eggs coming in the next week and a half. Plus my own I need to set. I'm over capacity. I'm liking your White Ameraucanas. That would complete my Ameraucana color pallette! I know I know I have a cabinet bator Im skeered to use-Im probably going to just sell it to be able to build another coop! Hi girls! The white ameraucanas are simply stunning!